The Israeli occupation artillery bombed on Sunday evening two sites in the north and east of the besieged Gaza Strip. Local sources told a reporter for news agency that Israeli tanks shelled an observation post in the east of Beit Hanoun, north of Gaza, causing material damage to the place. The Palestinian Red Crescent said that one of its ambulance sustained considerable damage in the Israeli artillery attack. Later, an Israeli tank targeted a field control post in the east of Juhor ad-Dik town, south of Gaza City. 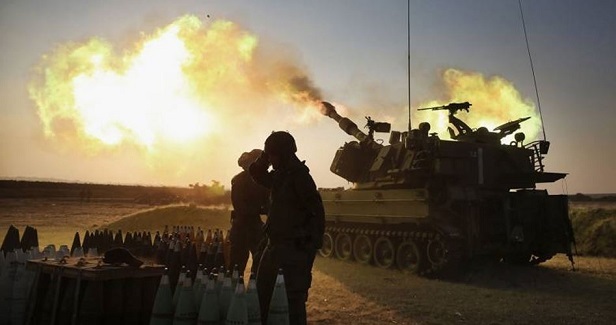 The Israeli occupation army said its tanks bombed two military posts belonging to Hamas in the north and east of Gaza, claiming that its attacks were in response to the launch of balloons carrying incendiary and explosive materials towards Israeli areas. On the same day at dawn, two Israeli airstrikes targeted an observation post in the east of Rafah. On Saturday, four citizens suffered injuries during drone attacks on the east of al-Bureij refugee camp.